Do you feel there are so few choices in your iPhone ringtone library? Do you want to make a special piece of music your iPhone ringtone? Let me tell you several best ringtone makers for iPhone. Here we would like to introduce you 8 best iPhone ringtone maker apps to help you make ringtones on iPhone and computer respectively. You could even make your own voice as iPhone ringtones with these best iPhone ringtone maker apps. It is the best ringtone maker that offers you recording of voices into a MP3 or WAV format, and adding of them to your iTunes. 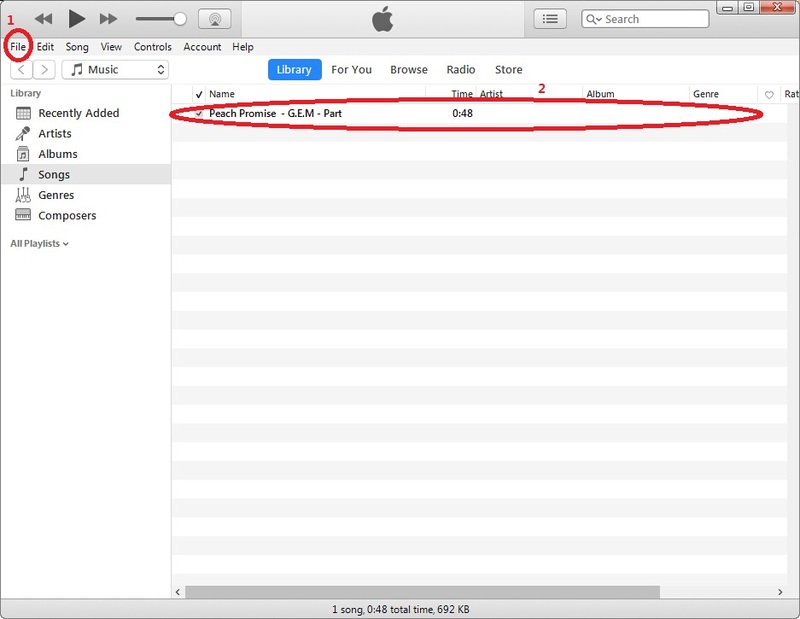 You can also use it to edit the audio information, such as the title, the artist name, the year and so on. There are versions for Windows and Mac of that best ringtone maker iPhone. It offers you tons of licensed ringtones. 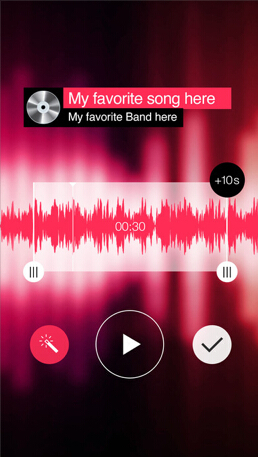 You can turn any song into a ringtone with it, also edit your ringtones with Ringtone Maker. You can even record any sound, process it and make it your ringtone. There are versions only for iPhone and iPad. It is an all in one free ringtones app that gives you unlimited free tone choices! Users are also allowed to record family and friend voices as ringtones. 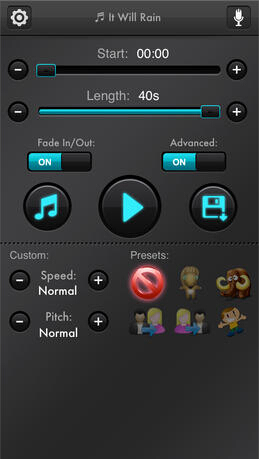 It also has pitch and volume adjust and fade-in & fade-out option. It also allows you to share your ringtone creations on Facebook &Twitter. It allows you to create unlimited ringtones from your MP3, iPod or iTunes music. It is easy to manage length of song and where to start with real wave form & indication bar within it. It has the highest quality sound processor. It can also export via e-mails and send it to yourself or your friends. The "My Tone" section allows you see and manage your tone in the app library. It can make free ringtones from your music. With it you can use your iPod Songs to create ringtones, also customize text tone, tweet tone, alert tone, mail tone, calendar tone and reminders tone. 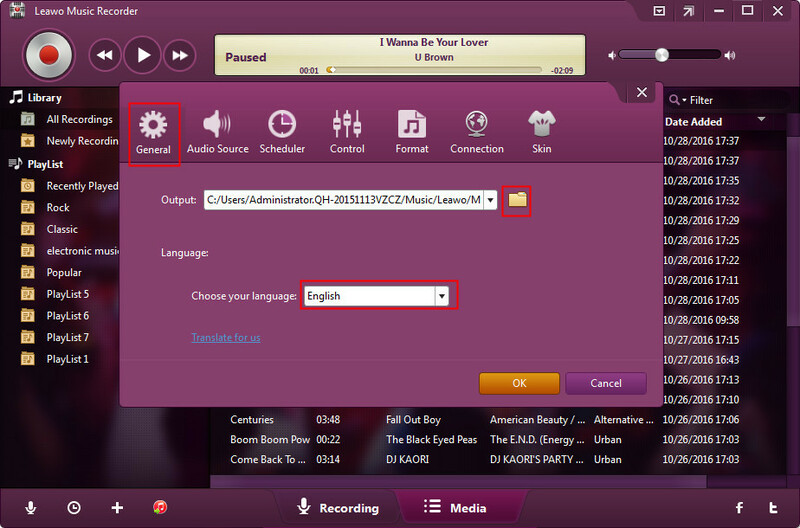 It’s easy for you to control start time of the song by using it. There are fade-in and fade-out effect within the app. As well you can record any sound and make it a ringtone. 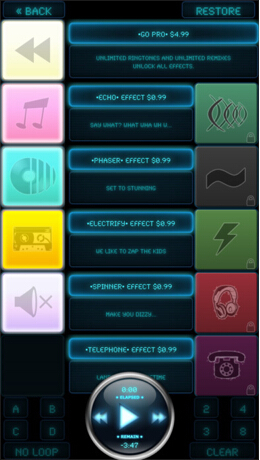 It is a DJ remix and ringtone maker. After picking a song from your Music Library or Spotify Library on your device, you can see the Beat Slice playing the song and giving you creative control to mix and crush. Pieces can be switched on and off by tapping the super charged energy bars. You can make your favorite effect patterns and switch between them at supersonic speed. It is an app that make you able to convert any MP3 or iTunes music you own to ringtones for free. 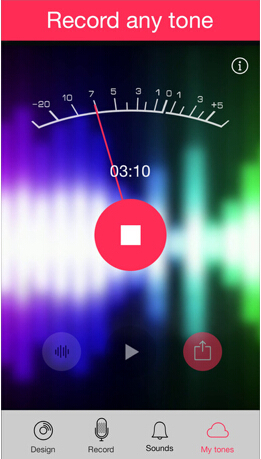 It has a real waveform, and an indication where song is playing, and can form 40 seconds ringtones with in-app purchase. There are many languages you can use with it, such as English, Dutch, French, Italian, Japanese, Portuguese, Russian, Simplified Chinese, Spanish. And it is suitable for iPhone, iPad and iPod touch. 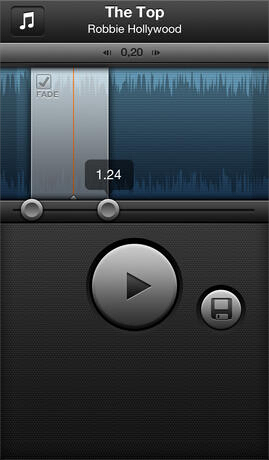 You can use a microphone to record your own voices with Leawo Music Recorder as iPhone ringtones. 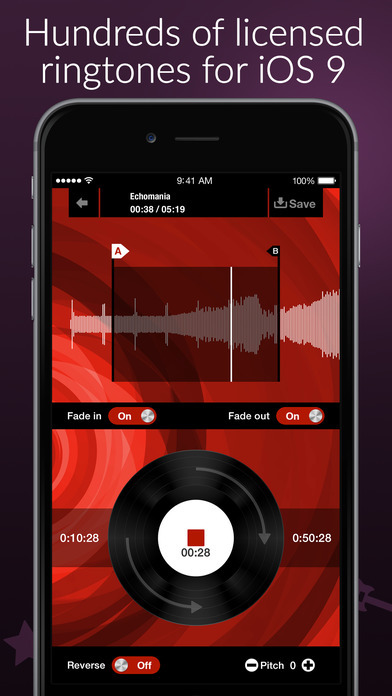 Leawo Music Recorder is a professional audio recording software app that could record your voice, online music, local music into ringtone for your smartphones. It could record any sound into either MP3 or WAV audio files, therefore you could make use of the recorded audio files as ringtones for your smartphone. Download and install Leawo Music Recorder. Now I introduce you detailed steps on recording your own voices as iPhone ringtones with it. 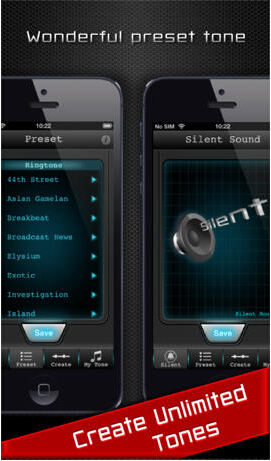 Open this best iPhone ringtone maker to click the microphone icon on the bottom left corner. Then, a window will emerge. Please click the "General" and then click the folder icon to choose the output address you want. Then, click "OK". Now make sure you have plug your microphone plug into your computer. 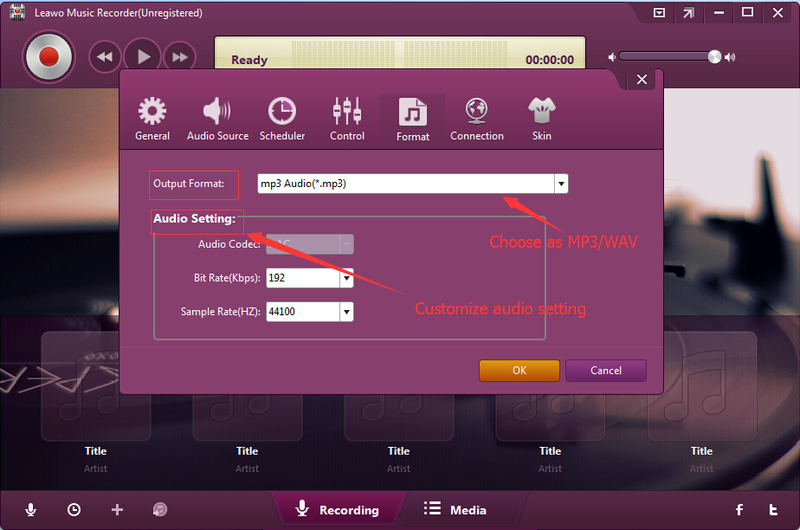 Then, please click the "Audio Source", and then click the "Record Audio Input" to click the tiny triangular button, to choose the microphone needed. Do not forget to click "OK" finally. I told you how to record computer audio in other articles, which needs a piece of music played either online or offline. Then, click the "Format" to click the tiny triangular button, to choose the output format as you like. Finally click "OK". Now, in order to make the recorded ringtones compatible with iPhone, please right-click the track and choose "Show in Folder", which allows you to check the ringtones in a folder. Then, right-click the ringtone file in the folder and rename the file extension as "something.m4r". Certainly "something" refers to the file name you want. Or, to ensure the audio quality, you could turn to 3rd-party M4R audio converter tools to convert recordings to M4R audio file as ringtone for iPhone. iTunes is also one of the best ringtone makers for iPhone 6. 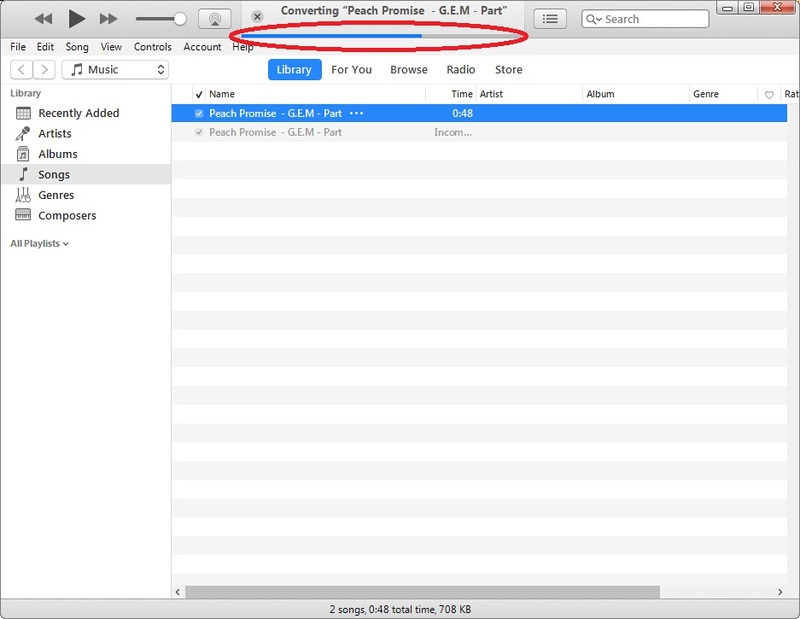 Before making a ringtone with iTunes, you need to make sure there is at least one piece of music in your computer. If there is, please open the iTunes. Click the "File" to choose "Add File to Library", then choose to open a piece of music of which you want to set part as your ringtone. And then right-click the music to click "Get Info". After the emerging of a window, please click the "Options" and check the squares and input the time values. You can also check other squares of setting options. Finally click "OK". Owning to that iPhone only supports ringtones less than 40 seconds, please make sure the period between the time values are less than 40 seconds. Now right-click the newly born music and choose "Show in Windows Explorer", then you will see the newly born music in a window. Please rename the newly born music to "something.m4r" or "something.w4r". Because those are ringtone formats suitable for iPhones. Now you can put the newly created ringtone to your iPhone or where you want. Certainly, with both the apps, you can check the music in folders, and you can edit the music information, and you need to change the file extensions, and the ringtones created must be less than 40 seconds. Both of them allows you to make ringtones offline. 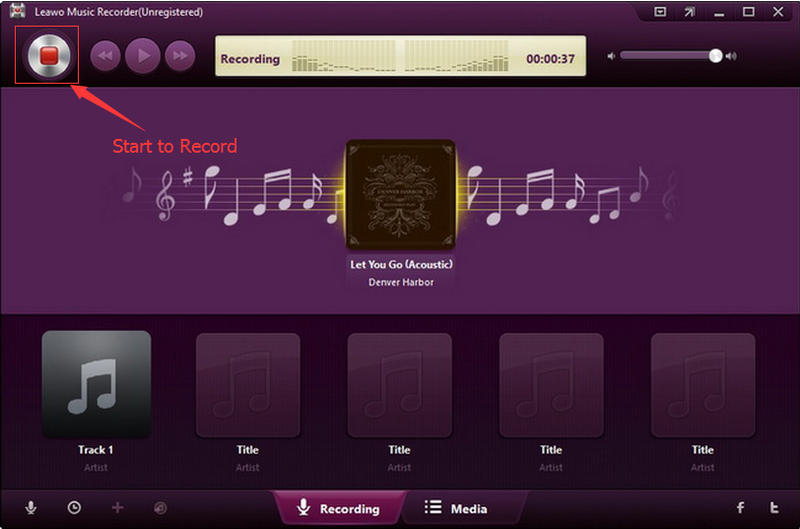 Leawo Music Recorder is able to output MP3 or WAV format music, but iTunes only outputs M4A format music. Of course, you can change all the file extensions later on. If you want to make ringtones with Leawo Music Recorder, you will only need a microphone or music that can be played online or offline. 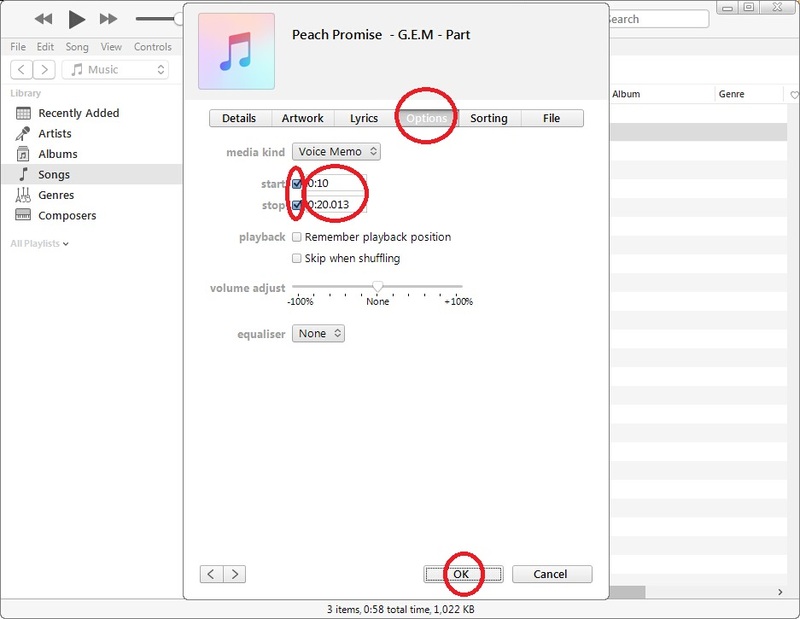 While if with iTunes, you must make sure there is at least a piece of music in your computer. 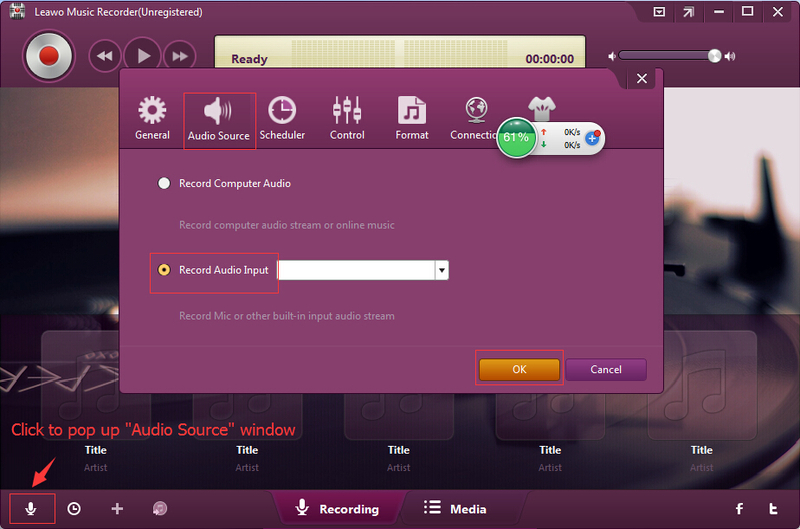 Because the Leawo Music Recorder can record all the audio sources including online music, radios, music in computers, audios in videos, from microphones(your own voices), and then make them into ringtones. While iTunes can only make downloaded music in computers into ringtones. All in all, I want to say that Leawo Music Recorder gives me more choices, but iTunes restricts me. I like Leawo Music Recorder better.